This readable text presents findings from the life science experiments conducted during and after space missions. 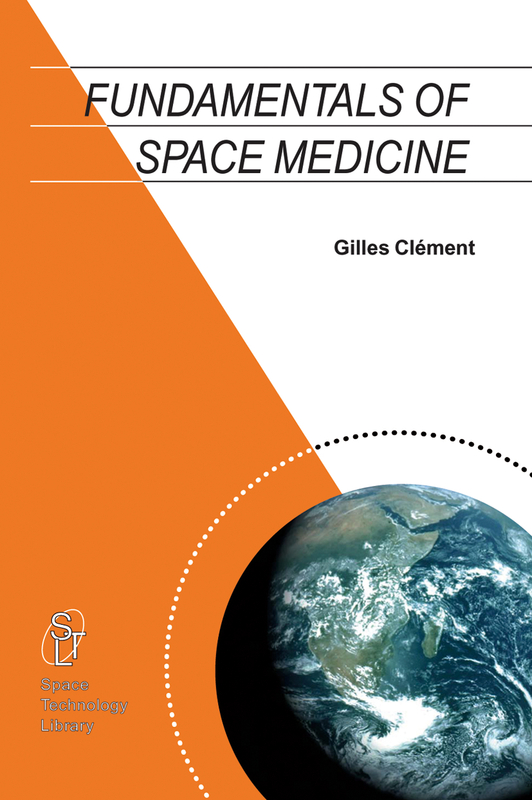 It provides an insight into the space medical community and the real challenges that face the flight surgeon and life science investigator. Preface by Dr. Didier Schmitt. Preface by Dr. Douglas Hamilton. Foreword. Acknowledgements. I: Introduction to Space Life Sciences. 1: Space Life Sciences: What Is It? 1.1. Objectives. 1.2. The Space Environment. 1.3. Justification for Human Spaceflight. 1.4. Where we are. 2: The Legacy of Space Life Sciences Research. 2.1. Major Space Life Sciences Event. 2.2. Survising the Odyssey. 2.3. Life Support Systems. 3: Challenges Facing Humans in Space. 3.1. Astronauts' Health Maintenance. 3.2. Environmental Health during Space Missions. 3.3. Human Mars Mission. 3.4. Countermeasures. 3.5. Artificial Gravity. 3.6. A New Science is Born. 4: References. II: Space Biology. 1: What is Life? 1.1. Life on Earth. 1.2. Life on Mars. 2: Gravitational Biology. 2.1. Questions. 2.2. Results of Space Experiments. 2.3. Bioprocessing in Space. 3: Development Biology. 3.1. Questions. 3.2. Results of Space Experiments. 4: Plant Biology. 4.1. Questions. 4.2. Results of Space Experiments. 5: Radiation Biology. 5.1. Ionized Radiation in Space. 5.2. Biological Effects of Radiation. 6: ISS Facilities for Space Biology. 7: References. III: The Neuro-Sensory System in Space. 1: The Problem: Space Motion Sickness. 2: Vestibular Function. 2.1. The Vestibular System. 2.2. The Other Senses. 3: Effects of Spaceflight on Posture and Movement. 3.1. Rest Posture. 3.2. Vestibulo-Spinal Reflexes. 3.3. Locomotion. 3.4.Body Movement. 3.5. Eye Movement. 4: Effects of Spaceflight on Spatial Orientation. 4.1. Visual Orientation. 4.2. Cognition. 5: What Do We Know? 5.1. Space Motion Sickness (SMS) Experience. 5.2. Theories for Space Motion Sickness. 5.3. Countermeasures. 6: References. IV: The Cardio-Vascular System in Space. 1: The Problem: Postflight Orthostatic Intolerance. 2: Physiology of the Cardio-Vascular System. 2.1. Basics. 2.2. Control Mechanism. 3: Effects of Spaceflight on the Cardio-Vascular System. 3.1. Launch Position. 3.2. Early On-Orbit. 3.3. Later On-Orbit. 3.4. Postflight. 4: What Do We Know? 4.1. Orthostatic Intolerance. 4.2. Pulmonary Function. 4.3. Bed Rest. 5: Countermeasures. 5.1. In-flight. 5.2. End of Mission. V: The Musculo-Skeletal System in Space. 1: The Problem: Muscle Atrophy and Bone Loss. 1.1. Muscle Atrophy. 1.2. Bone Loss. 2: Muscle and Bone Physiology. 2.1. Muscle Physiology. 2.2. Bone Physiology. 3: Effects of Spaceflight on Muscle. 3.1. Decrease in Body Mass. 3.2. Decrease in Muscle Volume and Strength. 3.3. Changes in Muscle Structure. 4: Effects of Spaceflight on Bone. 4.1. Human Studies. 4.2. Animal Studies. 5: What Do We Know? 5.1. Muscle Atrophy. 5.2. Bone Demineralization. 6: Countermeasures. 6.1. Muscle. 6.2. Bone. 6.3. Aging and Space. 7: References. VI: Psycho-Sociological Issues of Spaceflight. 1: The Problem: Reaction to Stress. 1.1. Analogs. 1.2. Space Simulators. 1.3. Actual Space Missions. 1.4. Rules. 2: Individual Selection. 2.1. Select-Out Criteria. 2.2. Select-In Criteria. 2.3. Psychological Profile of Astronauts and Cosmonauts. 3: Crew Selection. 3.1. Sociological issues. 3.2. Selection issues. 4: Assessment of Behavior and Performance. 5: Psychological Training and Support. 5.1. Training. 5.2. Support. 6: References. VII: Operational Space Medicine. 1: What Is It? 1.1. Objectives. 1.2. Risk Assessment. 2: Astronaut Selection and Training. 2.1. Crew Position. 2.2. Physical Requirements for Astronaut Selection. 2.3. Astronaut Training. 3: Prevention: Health Hazards in Space. 3.1. Medical Events during Spaceflight.